Making the Switch to FlowGuard CPVC | Lubrizol Advanced Materials, Inc.
No plumbing system is perfect, but FlowGuard Gold CPVC solves many of the issues associated with alternative piping systems like PEX. Remember your reputation is only as good as the materials you choose. 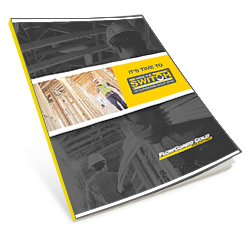 Get started today and complete the form to download your copy of the Make the Switch brochure.